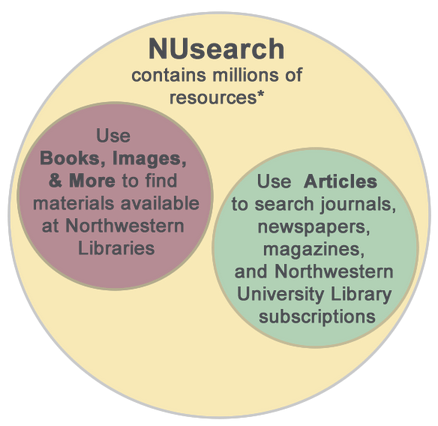 NUsearch: searches all library holdings and the content of many online article citations. Books, Images, & More: searches library holdings plus Northwestern digitized collection content. Articles: searches our online journal subscription content. Access NUsearch from the library homepage or directly.